One notable aspect of the Miniature Pinscher’s history is the longstanding mistaken belief that the breed is simply a miniature version of the Doberman Pinscher. Although the breeds are undoubtedly similar in appearance, particularly Miniature Pinschers with the black and tan coat, that is where their similarities end. The Doberman Pinscher created as a distinct breed towards the end of the 19th century, nearly 100 years after the Miniature Pinscher was firmly established. The Miniature Pinscher is believed to have been developed from crosses between the German Pinscher, Italian Greyhound, Smooth Pinscher and Dachshund. The Miniature Pinscher is a fiery breed with a personality that far outsizes its small body. The Miniature Pinscher temperament is extremely energetic, athletic and an inquisitive breed. They have a playful and bold demeanor that would seem to belong to a much larger dog. The Miniature Pinscher can be affectionate with family if they sit still long enough to do so. That being said, these are decidedly not a lap dog. Miniature Pinschers need to be kept busy to be content. If they are exercised regularly and thoroughly, the Min Pin can be a well-adjusted and happy apartment dog. A Miniature Pinscher should also be socialized from a young age, as they can be aggressive with other animals and humans if they are not. Training a Miniature Pinscher can be a difficult and trying experience, particularly for first-time dog owners. Miniature Pinschers require patience and time above all else in training. They have boundless energy, but exhibit a short attention span that can vex even the most experienced trainer. Miniature Pinschers behavior can be stubborn which further adds to the difficulty in training them. Despite these difficulties, training a Miniature Pinscher is possible. They regularly compete in obedience and agility competitions, demonstrating their strong characteristics and ability to be well-trained and follow commands. Miniature Pinschers need a large amount of exercise for such a small dog. A moderately long walk and several play sessions every day are essential to avoid any behavior issues. This is not a breed for owners that are rarely home or have little desire to give them the attention or time they need. Incorporating training into play sessions will help owners reinforce training principles, while also giving them the exercise they need. Owners should be careful exercising them when they are very young, as the breed is known to have brittle bones that can break easily. Miniature Pinschers are a healthy breed with an average life expectancy of 12-14 years. Are Miniature Pinschers a Popular Breed? The Miniature Pinscher is a relatively popular breed in the United States. They are currently the 68th most popular AKC registered breed. They fill a niche as a small sized dog that does well in apartments and urban settings but has boundless energy that allows them to keep up with active owners. Their difficulty in training has probably tamped down their popularity to a degree, particularly with first-time owners. Miniature Pinschers don’t have any specific feeding requirements except their tendency to overeat needs to be closely monitored. Avoid feeding your Min Pin one large daily meal. Instead, split their daily food allotment up into two or even more meals that can be spaced out throughout their day. Miniature Pinschers weigh between 5-10lbs on average, so expect to feed them between 1/3 and 2/3 cups of dry food a day. Look for a food that provides a good balance of essential nutrition, and contains high-quality proteins, healthy fats, and vegetable fillers. Avoid any food that contains grain fillers such as soy, corn, and wheat as these can be difficult to digest and cause allergic reactions. Miniature Pinschers are one of the easiest breeds to groom and care for. Their short coat only requires occasional brushing to stay healthy. Be sure to regularly check their nails and trim them if necessary. Just like with any other breed, also check their ears for wax buildup or infection. Are Miniature Pinschers Good with Children? Miniature Pinschers are friendly, inquisitive, and playful; traits which make them excellent companions for children. The one caveat with Miniature Pinschers is that children need to be taught that they must use discretion and avoid rough play, due to the Min Pin’s brittle bone structure which can lead to injuries. Patellar Luxation: Patellar Luxation is a condition wherein the kneecap (patella) becomes dislocated from the groove it rides in on the femur. This condition is most commonly seen in toy and miniature breeds, so Miniature Pinschers are at an elevated risk of developing it. Patellar luxation is an extremely painful condition that usually happens during exercise, but can sometimes happen spontaneously. Signs of patellar luxation include sudden lameness in a front limb, weakness in a limb or the inability to put weight on it, repeated shaking of a limb, or obvious distress. If you notice your Min Pin exhibiting any of these signs during exercise, be sure to consult with a veterinarian. Mitral-Valve Disease (MVD): MVD is a condition that affects the mitral-valve, which is located on the left side of the heart and is responsible for ensuring blood flows from the atria to the ventricles of the heart. In dogs with MVD the mitral-valve is weakened, allowing blood pushed to the ventricles to flow backwards into the atria. This process is known as mitral-valve regurgitation. MVD usually presents at a young age in the Miniature Pinscher as a heart murmur, and in mild case, dogs afflicted with this condition can live their full life expectancy. In more severe cases where the mitral-valve is greatly weakened, the condition can result in congestive heart failure later in life. Although MVD cannot be treated surgically in dogs, in some cases its impact can be minimized through medication. Legg-Calve Perthes Disease (LCPD): LCPD is a hip disorder characterized by the deterioration of the head of the femur where it rides in the pelvic girdle. As the deterioration progresses the function of the pelvis decreases. LCPD is an extremely painful degenerative disease, particularly as it progresses further. The most obvious sign of LCPD is a gradual onset of lameness in one (or both) of the hind legs. LCPD is usually accompanied by an uneven or wobbly gait, or limping in the affected leg. Pain when the area is touched is also common. LCPD is most commonly treated through surgical removal of the necrotic area of the femur, which is then rebuilt and replaced with scar tissue, allowing a semblance of normal function to return to the hind legs. Mucopolysaccharidosis (MPS): MPS is a disorder affecting metabolic activity, characterized by a buildup of mucopolysaccharides due to decreased lysosomal enzyme activity. There are four different types of MPS in dogs, with each separate type corresponding to a deficiency in a specific lysosomal enzyme. Miniature Pinschers are affected by type VI, and are deficient in arylsulfatase B. Mucopolysaccharides are essential for the proper development and growth of critical structures within the body. These include bones, cartilage, corneas, skin, and joint health. MPS is a debilitating disease with a poor prognosis in the Miniature Pinscher. Because MPS affects many important structures in the body, symptoms of MPS tend to be outwardly obvious. Symptoms include growth abnormalities such as a slow growth rate, enlarged chest or head, dwarfism, weakened or deformed hind legs, corneal clouding, and congestive heart failure. Progressive Retinal Atrophy (PRA): PRA is a condition characterized by the deterioration of the retina of the affected animal. Specifically, PRA affects the photoreceptor cells of the retina. These cells are responsible for the eye’s ability to perceive light. In dogs with PRA, the photoreceptor cells begin to deteriorate over time, leading to a diminished capacity to distinguish objects in low light. As the condition progresses it will eventually lead to complete loss of vision. PRA affects both eyes at the same time, and although it is not a painful condition there is currently no cure or treatment for it. PRA is a hereditary condition, so it is important to check with your breeder to find out if PRA runs in their Miniature Pinscher line. national breed website: Miniature Pinscher Club of America, Inc. Sometimes mama just needs a little down time. And that’s where cbd oil has been a real help. 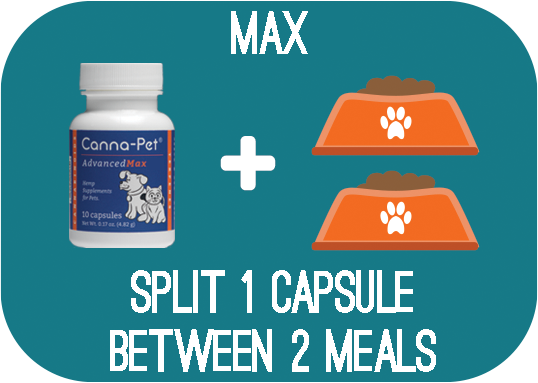 Since starting on Canna-Pet, Bentley has gone even longer between seizures than without Canna-Pet. I never thought we would be celebrating his 13th birthday on July 25th, but I truly believe Canna-Pet has helped give him quality of life. Thank you! Nothing has helped …..UNTIL NOW… yesterday my baby ran in the back yard hopping all over the yard for 5 hours …something she hasn’t done for so many years. I’m so pleased with the product. Thanks Canna-Pet for putting the spring back in our babies step and his will to live!